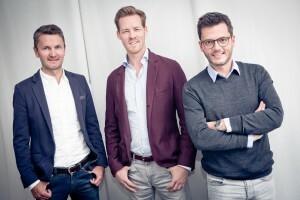 Tele München Group has acquired a stake in recently-established, German-based digital content company, Load Studios. Endemol Shine Group’s former global managing director, Georg Ramme, set up Load Studios in early 2017 and the Berlin-based company specialises in creating and distributing short-form-content for social and mobile platforms and brands. Tele München has taken a “significant minority stake” in the business and said that the deal will further diversify its core business by expanding into the digital content market. ”The investment in Load Studios supports our strategic goal to integrate new revenue streams into our existing business model,” said Tele München managing director, Herbert Kloiber. With the deal Ramme will continue to oversee all operational tasks at Load Studios, while Bernd Wendeln, Tele München’s head of corporate development and M&A, will serve as chairman of Load Studio’s board. Tele München Group defines itself as an integrated media company that covers all segments of audio-visual rights trading and distribution. It was first founded as a TV production company in 1970.